Smartphone photographers looking for and easy way to capture 360 degree footage using their mobile device might be interested in a small pocket sized lens system which has been designed for Android smartphones. The palm sized lens slots into your smartphone and offers live preview, recording and sharing of the recorded footage. Watching video below to learn more about the Android 360 degree camera’s features and functionality. eCapture Technologies the creators of the LyfieEye explain more about its inspiration and design. What if you could capture life’s moments in their entirety? What if you could be immersed within those memories and share them across space and time? What if your flat, stale selfies and videos stopped letting you down and instead you could relive the experiences as they were unfolding all around you? 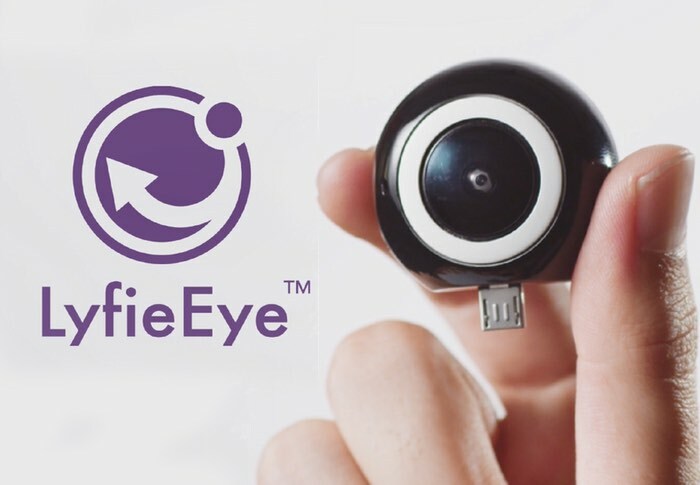 Introducing: LyfieEye™. The first truly affordable camcorder that plugs straight into your Android Phone to allow you to preview, record and playback live-like spherical 360 degree videos and photos. All from an object no larger than Harry Potter’s Golden Snitch. 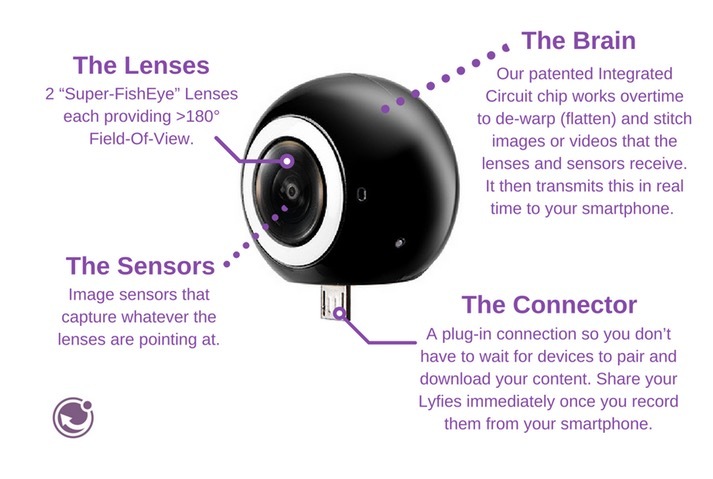 Built to capture and share moments the way they actually happened, The LyfieEye™ uploads instantly to Facebook 360, YouTube 360, and syncs flawlessly to any VR headset without any technical lag. Preview, record, and share the entire moment. Jump over to the Kickstarter website to make a pledge from $109 for early bird backers via the link below, with delivery expected to take place during November 2016.